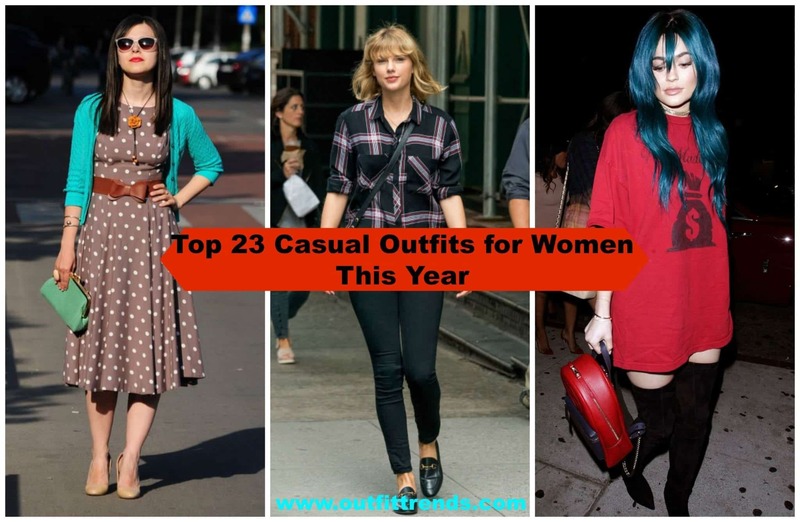 Cute Casual Dresses – What do you wear when you’re in a hurry? Going out to visit friends? Getting errands done? Going shopping? Lets get one thing straight though; everyday life has no right to get in the way of you looking downright fabulous. So what you need is cute and comfortable outfits; something that will make you look and feel great, all the while getting you through the struggles everyday life demands. You guessed it. We’re talking about dresses. Not only are they comfortable; but they’re feminine, cute as well stylish. There are so many types of dresses to choose from as well: long, short, bohemian, laced, floral, printed, checkered, striped, denim and what not. Each one is cute in its own unique way. Don’t miss out the amazing celebrity style tips we’ve included at the end so you can see what celebs are choosing for casual wear this year. Dresses are a type of clothing you can really have fun in expressing yourself and your personal style. If you’re going for a more feminine look, best to pair your dress with pumps and leggings (preferably black or skin colored). For the chic look you can pair off with jeans and sneakers. And the dresses with collars are best for the sophisticated look and would really stand out if paired with long boots or block heels. A bright Yellow Halter Neckline Dress. A dress of this color emanates brightness and beauty, and adds an impression of an admirable and bright personality behind it. Long necklaces suit incredibly well with dresses of this neckline. A simple, woolen gray dress that’s perfect for a casual look during the winters. The scarf and leggings not only keep you warm but add in making the whole look stand out. You can color coordinate the scarf and leggings in contrast to the gray as well (preferably dark colors such as black, maroon, deep blue, deep purple etc). Comfortable and easy to carry dress for days when you need to get out there and get things done. The collars, buttons and simple patterned design adds to the overall neat and elegance of your look. The dress that will make you look effortlessly beautiful. All that’s needed is a patterned maxi dress and a belt, and that’s it! With a shoulder-less dress as this, its best to wear heavy bracelets and watches as your accessories. Will give you a cute and pretty look in an easy few minutes. The contrast of black with peach colored flowers makes this dress a unique blend of dark and light, giving it a sophisticated elegance. Would be best paired with peach colored shoes and handbag. Soft, beige colours for the soft personality. Perfect to wear for a summer outing. A light, comfortable short dress that’ll help you beat the summer heat. But also bright and colourful to embrace all the great things summer brings with it: the holidays, shopping, meet ups with old friends and everything in between. Simple polka dot dress for the old school girly look. Another great look for the summer to keep you cool in every way – literally and metaphorically. Would also look great with jeans and sneakers. Black and white are the classic colours you can wear to any occasion. This zigzag patterned dress is the type you can wear to a casual as well as formal event. Another great look for the modest, feminine woman. Best for comfort, leisure and beauty. Starting off with the supermodel Bella Hadid, her casual outfit is just what any of us would want to wear for a lazy but comfy day. Kylie Jenner’s wearing an oversized T-shirt with thigh high boots, the best casual outfit for a dinner. Last but not the least, we have the Modern Family star Ariel Winter, who’s an inspiration for all curvy and plus size girls out there. For a casual day out running errands, she’s wearing leggings with sneakers and a skin tight hoodie.